I hated First Class, but that may have had more to do with the continuity clashes that Fat Snyder’s X-Men The Final Stand introduced. Hmm. On second thought, no. Because there were enough continuity clashes with Singer’s earlier films that pulled me right out of the movie. But Days of Future Past? This looks more than promising. I’m going to have to quit my job to keep up with all of the must-play titles coming out. C’mon, lottery ticket retirement plan! Trailer Park: Far Cry: Blood Dragon – Who’s Ready to Return to a Neon-and-Blood Soaked ’80’s Vision of the Future? THE APOCALYPSE HAS HAD AN APOCALYPSE. Gird thy loins! 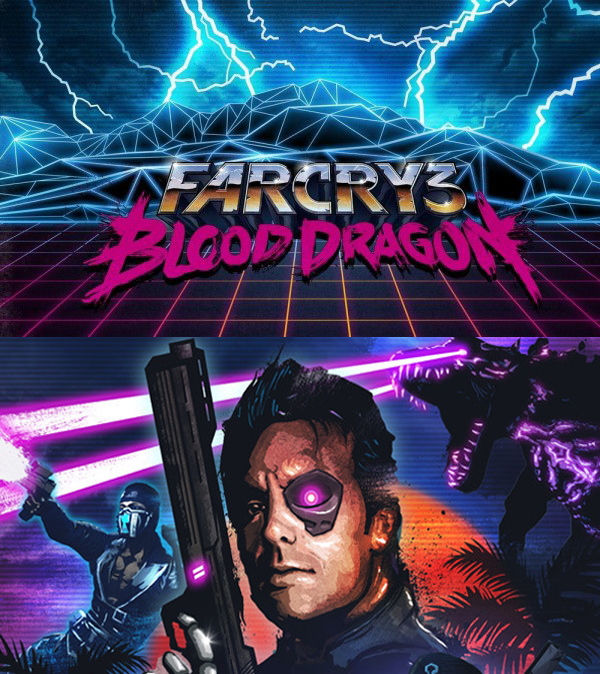 Far Cry 3: Blood Dragon will be unleashed upon the world on May 1st (unless you are/know Russian hackers, in which case it’s already been released). Even better, you don’t need a copy of Far Cry 3 to check this madness out. So what’s stopping you? Oh right, time. Time and money. The twin roadblocks of all fun & excitement. Can it just be March 26th already? Sick of waiting for this game to come out! JUST LET ME PLAY YOU ALREADY. As much as I’ve bitched & moaned about this game (and will continue to do so right up until release day) this looks super awesome. Dammit. DAMMIT. Every year they pull me back in! Am I really so bereft of willpower? – What is that thing he’s throwing? – I like that they’ve changed the kill notifications. – Is one of the killstreaks a portable microwave emitter? – Those flying Dragonfire things are going to be as annoying as the RC cars from Black Ops I. Just you wait. – You can get a MECH? That is awesome & wholly unfair. – The throwing implement this go round is a sweet looking hand axe. I look forward to sticking this in your skulls, anonymous BOII players.